Contributors to Shooter’s latest issue, themed Dirty Money, hone in on the dangers of materialism, precarious circumstances for US immigrants, con artistry, dodgy bankers, and dodgier Russian currency deals. Some characters experience spiritual conversions; others meet violent (or vile) ends. The approaches to the theme are diverse, but all of the stories and poetry in the summer issue merge thought-provoking insight with compelling narrative entertainment. The summer issue also features the 2018 Short Story Competition winner: Sophie Revell’s “Poetic Justice”. Revell’s story breaks from the issue’s thematic constraints, as well as structural conventions, to play with the notion of authorial obligation and bring her characters to life in an innovatively mind-bending way. Her cross-fertilisation of screenplay and short story formats struck us with its refreshing originality, and we whole-heartedly appreciated the feminist aspect of her piece as well. The competition’s runner-up, “A&E” by James Beaumont, is also available to read online here. We enjoyed his tale’s twin perspectives, about an encounter on a train journey that leads to a pleasantly satisfying conclusion. Following hot on the heels of our story competition, the second half of the year is dedicated to the poets. 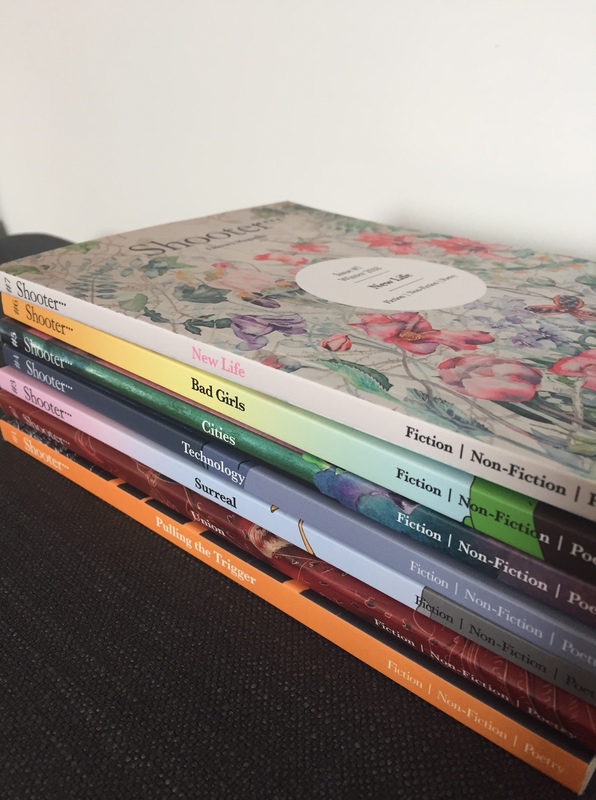 Our 2018 Poetry Competition is now open for entries; further details can be found at www.shooterlitmag.com/poetry-competition. Finally, the theme for the winter 2019 issue will be Rivalry, so sharpen your pencils along with your claws and get writing! To subscribe to Shooter or to order individual issues, please go to www.shooterlitmag.com/subscriptions.